Alfred Wegener (1880-1930) developed the theory of continental draft, and he coined the term "Pangea" for the supercontinent representing the original state of all the earth's continents. In his day, Wegener was mostly regarded by geologists as a kook. But decades after his death, many of his ideas turned out to be roughly correct (though not all; his theory of continental drift has been replaced by plate tectonics, and he had the timeline of continental movement all wrong). As the video says, Wegener's 1915 book is still on Amazon. There's even a Kindle edition. 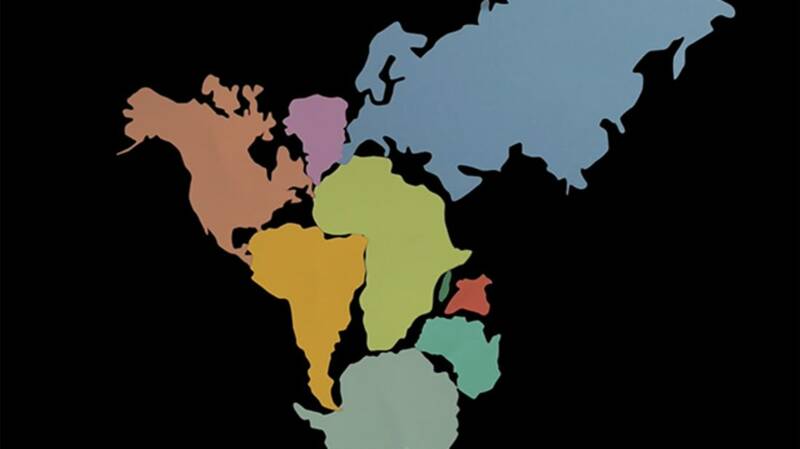 Related: Map of Pangea With Current International Borders.